Without a concerted effort, people could be dealing with the "nightmare scenario" of a worldwide spread of untreatable infections, says the WHO. 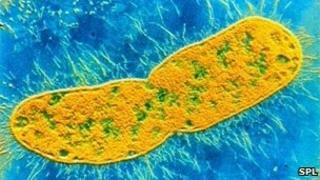 The Cardiff University researchers, who made the discovery last August, now say bacteria with this new genetic resistance to antibiotics have contaminated Delhi's drinking water supply, meaning millions of people there could be carriers. "Oral-faecal transmission of bacteria is a problem worldwide, but its potential risk varies with the standards of sanitation. "In India, this transmission represents a serious problem… 650 million citizens do not have access to a flush toilet and even more probably do not have access to clean water," the researchers warn in the journal Lancet Infectious Diseases. Zsuzsanna Jakab, WHO regional director for Europe, said: "Antibiotics are a precious discovery, but we take them for granted, overuse and misuse them: there are now superbugs that do not respond to any drugs. "Given the growth of travel and trade in Europe and across the world, people should be aware that until all countries tackle this, no country alone can be safe." The UK's Health Protection Agency said it was monitoring the spread of NDM-1 closely. "The first case of a bacterial infection with this resistance was identified in January 2008. Monitoring of this resistance began in 2009 as more cases were identified." The HPA insists that the risk of infection to travellers to the Asian subcontinent who are not treated in hospital is minimal. "If members of the public are travelling for surgery overseas they should satisfy themselves that appropriate infection control measures are in place," says the HPA.